Seibertronian DestronMirage22 has let us know that he has found some Robots in Disguise Minicon 4-packs at Burlington! This appears to be becoming a trend, seeing as how just earlier today we got word that G2 Bruticus had made its way to Burlington as well. 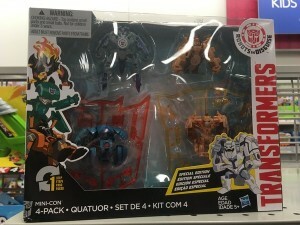 This set of 4 minicons is the original boxed set, featuring Blizzard Strike Backtrack, Scorch Strike Beastbox, Blizzard Strike Swelter, and Scorch Strike Undertone, and was found at a $7.99 price point. With this in mind, head on out to Burlington and see if you can't find yourselves some cheap Transformers, and remember to keep sending us your sightings! Too bad I don't have one near me. I want undertone to put with RiD Ratchet. Also the spines on his sphere mode look neat. The weak T-Rex alt mode on it is exhibit B. Like that's the mode that got sacrificed for the other functions. Would you mind taking a few other pics please? We could make a new post out of that. And I dont think any of us have seen the Trex mode yet, at least not from in hadn images. When you have a moment. When I saw this, I immediately agreed. 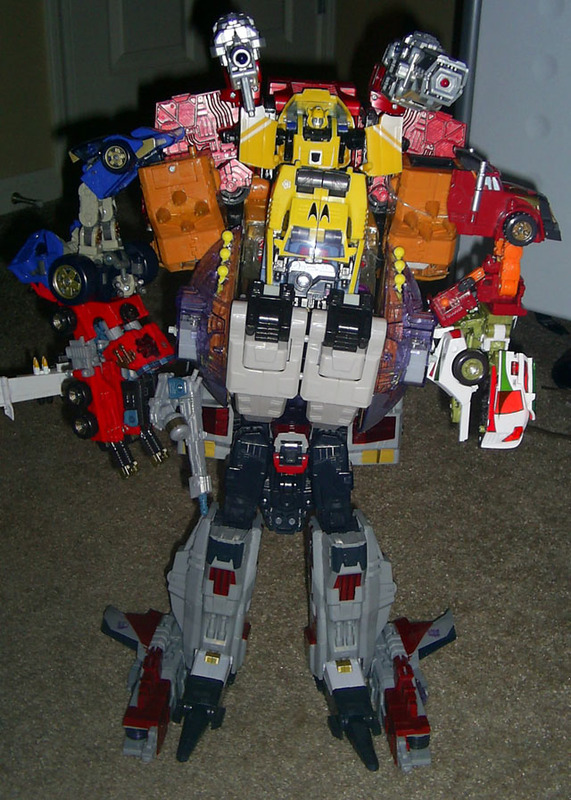 It could be like a Prime Abominus affair where the toys combine but they aren't mentioned to until much later, and considering how big Grimlock would be to be to be the entire bottom half of the combiner, this would make sense. And yeah, we've only seen this thing in packaging. We have yet to see it out of the packaging, so pics are welcome! 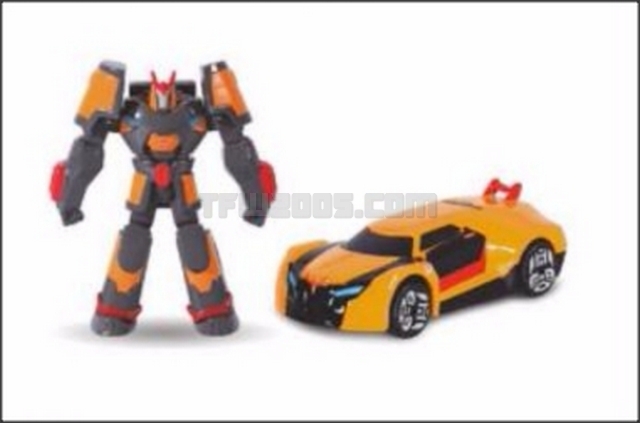 According to the image we got of the Bee combiner, yes, he's the entire bottom half of the combiner. Have weaponizers been found in US retail yet? I also found some TR Soundwavea, but I'm pretty sure those were found in the US already. I believe those came out last year. ...the heck is that thing...?! Sigma Magnus wrote: ...the heck is that thing...?! Stuartmaximus wrote: now....whether like William James said that it's just random merch or already existing merch? is hard to determine from this pic. Those characters are non transforming figures. While we're on the subject of whether or not these RiD characters are supposed to be new characters or reimagined characters, can someone please explain to me what the deal with Kickback is? I'm pretty sure he died in the Beast Hunters comics, but now he's suddenly alive and well (and with a car mode, too). Back on topic, that RiD Soundwave is gorgeous! I can't wait to get a hold of the guy. It blends my two favorite versions of Soundwave together rather well. Also, any idea of a release date for Bludgeon? I ain't settling for Blastwave. BombshellDaBug wrote: While we're on the subject of whether or not these RiD characters are supposed to be new characters or reimagined characters, can someone please explain to me what the deal with Kickback is? I'm pretty sure he died in the Beast Hunters comics, but now he's suddenly alive and well (and with a car mode, too). Best guess is that this is a totally different Kickback. Though it's also worth bearing in mind the 'aligned' continuity isn't very good at aligning. 4,366 pages were recently viewed by 744 unique visitors. This page was viewed 1 times on Thursday, April 25th 2019 2:45pm CDT. © 2019 Seibertron, Inc. DBA Seibertron.com. All Rights Reserved. Established June 2000. Seibertron.com is owned by Ryan Yzquierdo.